This week for Manga Monday I’m going to give a brief explanation on a confusing subject for others. It’s all about 4-Koma, A Brief Explanation! What is 4-Koma? 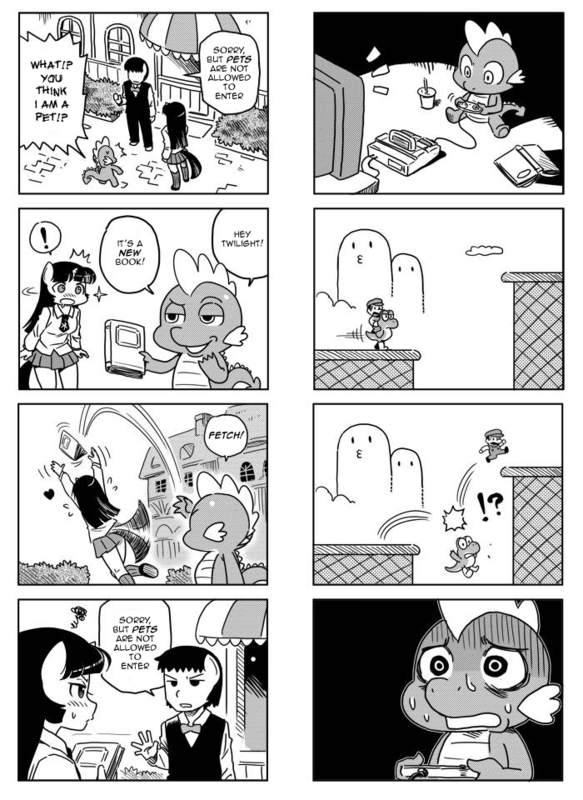 : 4-Koma, or Yonkoma, is a type of formatting that some Manga and comics use. They usually are for Gags and comedy series, but they pop up in just about everything nowadays in Japan. It consists of a series of equal sized panels numbering no more or less than, four. Some popular 4-Koma series are Hetalia and Gekkan Shoujo Nozaki-Kun. And that’s about it. That’s all you really need to know about 4-Koma. Hopefully that helps clear up some people’s confusion.